As our name says, we custom design every closet. 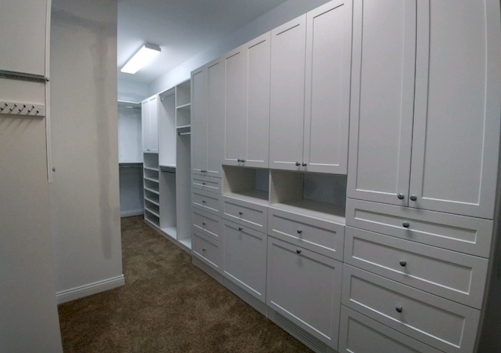 Ohio Custom closets has been an Excellent choice in Home storage and Closet organization in the Tri-State for over 20 years. We've built a reputation as the "Best For Less" while maintaining outstanding quality and customer satisfaction -- Our huge customer base of repeat business and referrals can attest to that! On a budget? 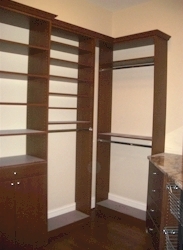 We can build the simplest inexpensive closet/storage solution to the most impressive custom suite with endless upgraded styles, finishes, accessories and hardware. A place for everything . . . and everything in its place. Now that's organized! 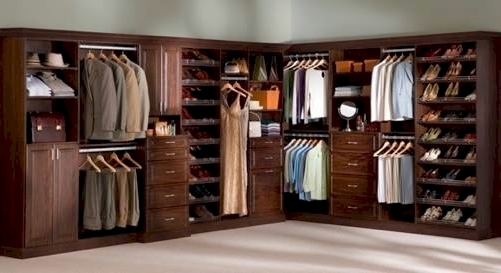 Floor-based Closet — Impressive finished look with Crown and base moldings, raised panel drawer faces, glass or mirror framed doors, granite tops, jewelry drawers, belt/tie racks, choice hardware. Your designer will help you understand the spatial relationship within the room for easy access and a comfort. 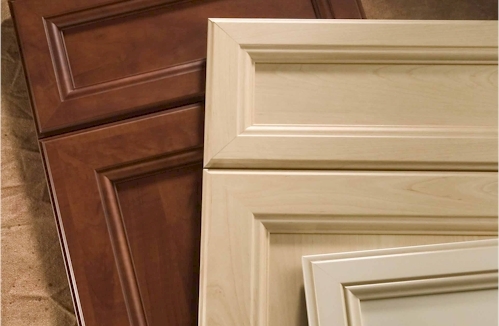 If your ceiling height allows, how about triple hanging or hinged storage cabinets above your closet for seasonal items? Have a safe –we can hide it. Having the units built to the floor creates more flexibility when adding drawers or shelves or cabinets for future changes, etc. Again, beautiful and functional. 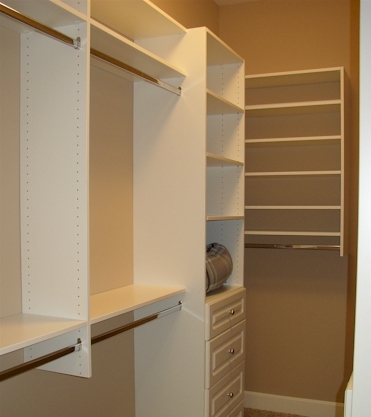 Wall-hung Closet systems — 90% of our clients prefer wall mounted units, they are great for tight budgets and won’t require cutting or notching around your baseboards. Beautiful and functional. 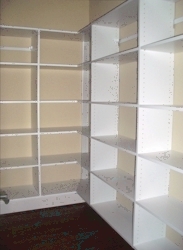 Adjustable rods and shelves. Upgrades Available! 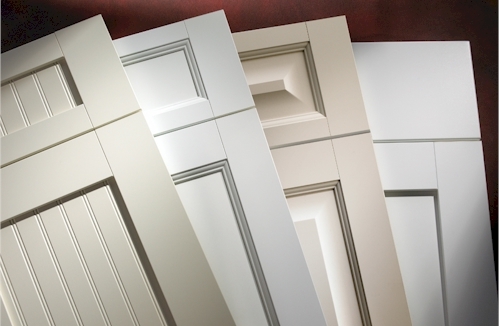 We have 10 standard color choices and also offer additional custom color choices as well. Just let us know what you desire. 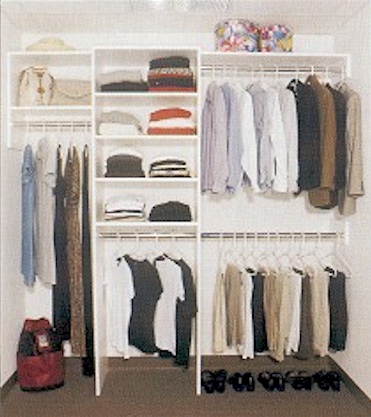 Walk-in Closet Systems - Turn two walls of shelving into an efficient walk-in closet with storage in the middle. You can quadruple your usable space. 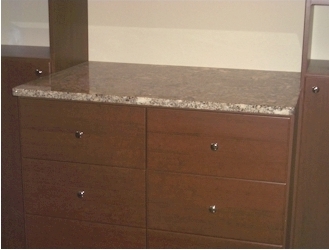 We can organize your space using our 3/4" furniture grade thermo fused melamine product, utilizing cleats and full panels. 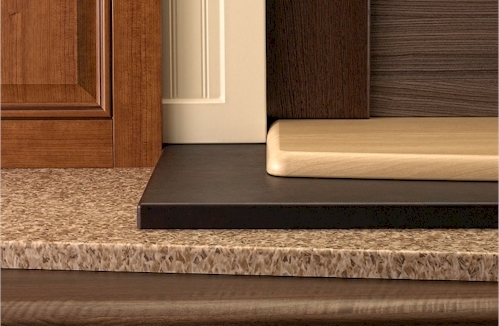 Accessories can greatly increase space efficiency. 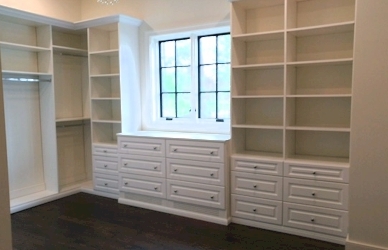 Kid's Room Closet Systems - Space is always at a premium especially in a child's room that is typically smaller then the Master bedroom. 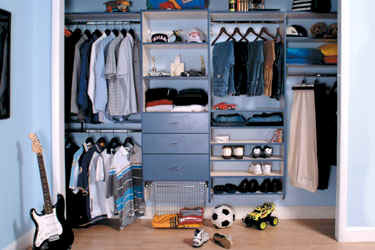 We can organize for clothes, toys, trophies, etc. 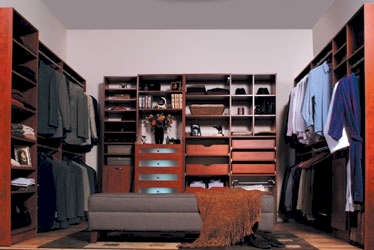 Closet Systems - Sometimes you have a closet you want organized and the space just doesn't justify a full-blown, full featured closet system. 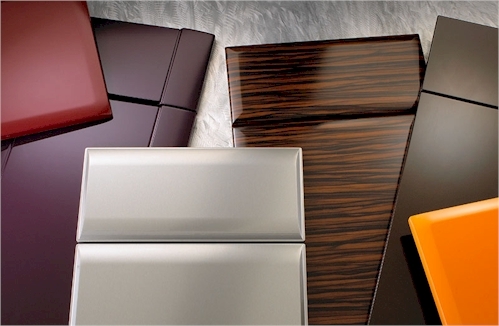 We can organize your space using our 3/4" furniture grade thermo fused melamine product, utilizing cleats and partial panels instead of full panels. 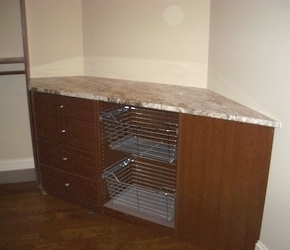 This allows efficient use of space while simultaneously keeping costs down. We can do the job within the most demanding budget. 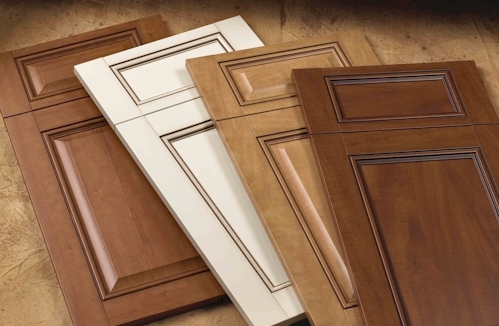 a wide variety of colors, paneling, and counter tops. French miter cuts "Finally, closets that maximize space, look beautiful, fit my budget, and are built and installed by an owner who cares. 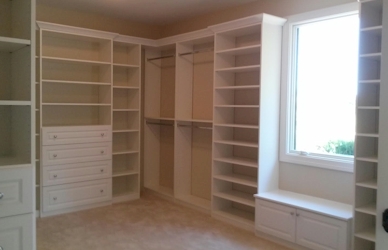 Thank you Ohio Custom Closets."